I really feel like running is all about the potential. Potential to go further. Potential to go faster. Potential to travel to new places and see new things. 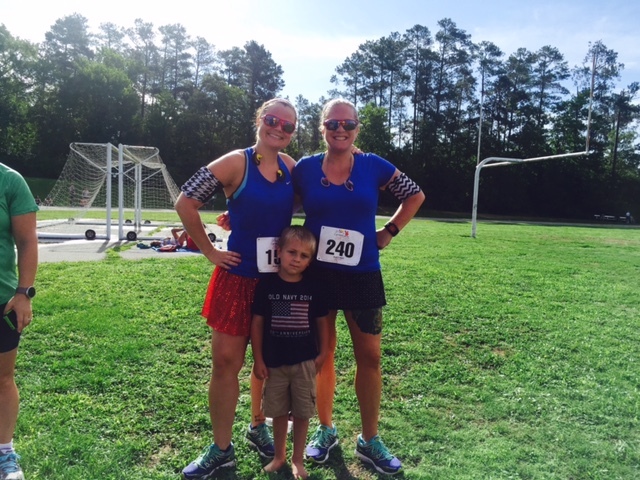 As Heather and I train for the Marine Corps Marathon in the hot hell of this Southern summer, it has to be about potential because I don’t have much else to hold onto to. I have to hold on to the potential of my ability to cross the finish line on October 25. The runs in this miserable heat have got to pay off on race day. I’m miserable. Almost every training run for this race has been miserable. All the glory I felt from my PRs this spring? Gone. I am humbled. I am sad. Some days my pace is so slow and may walk breaks so frequent that I wonder if I can even call myself a runner. I’m trying to limit my treadmill runs to one run per week and all the rest are outside so I’m suffering more than last summer. I’m also trying to teach our new puppy, Bacon, how to run with me so that requires dedicated running outside. We start running at 6:15 on Saturdays to beat the heat as best we can. The only problem with this strategy is that it is so, so humid. We are dripping sweat by mile 3 of every run. We don’t dry. Imagine running for several hours in soaking wet running clothes. On Saturday the 18th, we tackled 11 miles and I seriously thought about quitting. I missed some weekday runs due to some hip pain and was wondering why I ever thought I could do this, again. 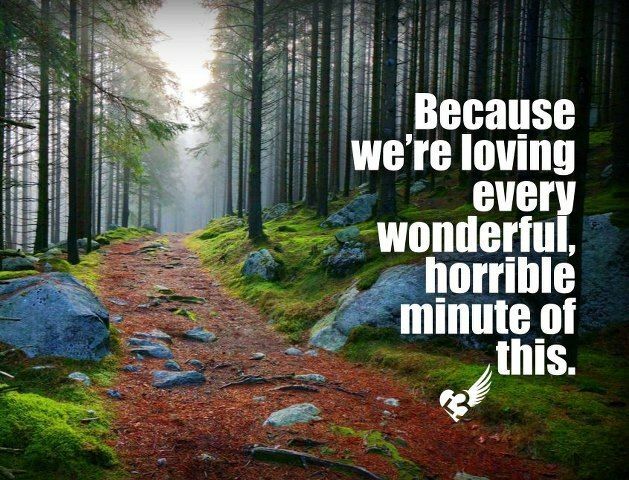 As we approached Saturday’s long run this past Saturday, I decided I had to change my attitude. So what if I was slow? So what if I wasn’t exactly on schedule? I was still getting it done. I have to hold on tight to what I’ve got. I get to do this. I don’t have to do this. I decided that each run is a clean slate and not at all dependent on the run before. Every Saturday has the potential to be great or to be bad but each Saturday is a new start. Whatever happens during the long run is limited to that run. Except for the lessons we’re learning, which are getting carried over to the next run. Me on an 11 mile run in 98 degree heat with a heat index of 105, trying to look like I am not dying. The first lesson? Split the run up into legs instead of focusing on the distance. We’re up to 14 miles. We’ve got 16 miles on deck on Saturday and it only goes up from there until we peak at 22 miles in early October. Simply running away from the car for 7 miles in one direction and running 7 miles back was not cutting it. Last Saturday, Heather planned a route that brought us back to the car in-between. We wiped the sweat off our faces with clean towels, drank ice water and packed our sports bras with ice. We ate, standing by the car. When I knew I had to head out for another 7 miles, mentally, I knew I could do it because of the break and the ice water. We’re going to employ this strategy for the rest of training. We might even employ it for race day. We can think of the marathon as several short races and time it around our fueling needs. Tell yourself whatever you have to get through it. The second lesson (which I already knew but was unpleasantly reminded of on the 18th)? My stomach rebels in the heat with traditional runner food. 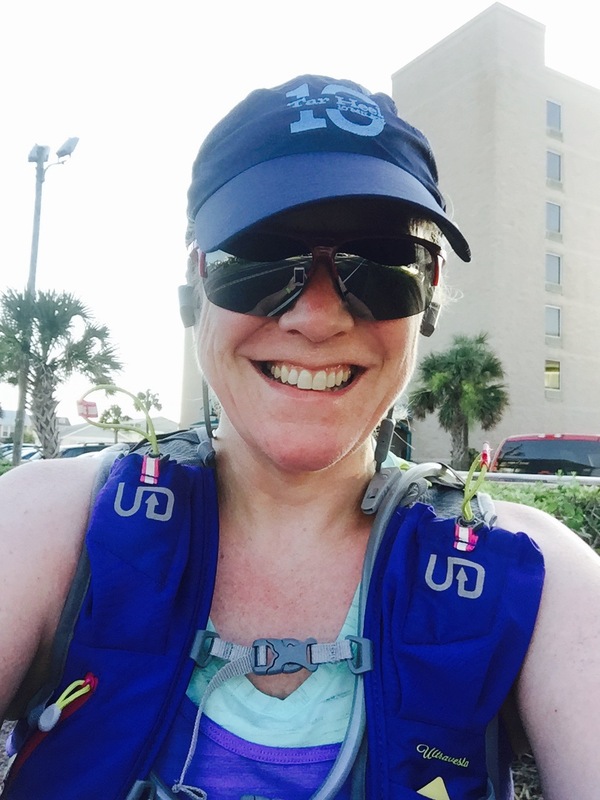 I had been using Honey Stinger gels, the only gels I can tolerate from a texture standpoint, and Tailwind in my hydration pack. On the 18th, I had horrible runner gut. Bathrooms out on the ATT are a godsend. The new solution? Skratch Labs. Heather and I each made a recipe out of the Feed Zone’s portables cookbook. Real food made with natural ingredients to take out on the run. I made the Skratch Labs chocolate chip cookies from their packaged mix. It is really finely ground oatmeal and very little sugar. Not a typical cookie but, still, very good. Heather made blueberry and coconut rice cakes. These are not your typical dried out rice cakes. They are made from sticky sushi rice, mixed with coconut milk, layered with blueberries and chocolate chips in the middle. They were bland. They were good. Our stomachs were so much happier and no gut bombs for the remainder of the day. I’m switching from Tailwind to Skratch Hydration, as well. I like the Tailwind and won’t abandon it forever but I’m going to try something else for a bit. I’ve cultivated forgiveness in my daily life. I don’t hold grudges and I’m not easily offended. I just let most things go. I don’t let things go from my runs and I am so hard on myself. I don’t know why I am this way about running and about my weight. The things I tell myself are so mean. I like the “clean slate” strategy for my runs. I like the idea of “potential’. I have the potential to be great and I am the one who defines my great. It may not be great by other’s people’s standards but finishing my second marathon after 18 weeks of hard training will be great enough for me. Finishing it with Heather by my side will be better than great. This is hard but I’m not going to take it for granted. Me and Heather at Four on the Fourth, the last time I ran a decent pace!